As someone who's quite active, I always like to make sure I'm getting enough protein in my diet. Sure, I could eat processed protein bars but, really, I find them quite bland or chalky and would much rather eat something delicious. 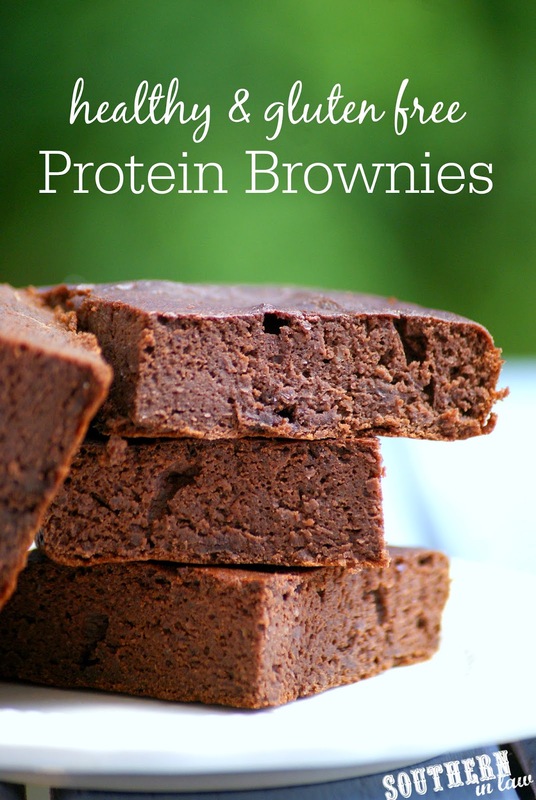 These protein brownies came about as the result of an experiment, as many of my recipes do! I had a big tub of protein powder that I wanted to use up and I decided to try baking with it. Being a chocoholic, naturally I decided protein brownies were the thing to try so I set to work. At first, I wasn't sure about these protein brownies. They're different to your traditional brownie and quite a bit cakier - but when I found myself making batch after batch after batch I realised I was hooked - and after a few tweaks and changes I came up with the perfect recipe. Best of all? 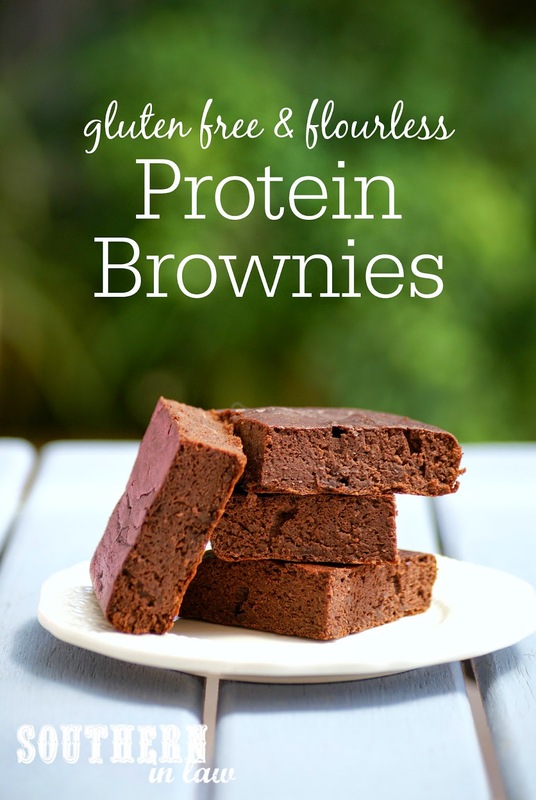 It only has seven ingredients but each brownie packs a serious protein punch with around 11 grams of protein per brownie. 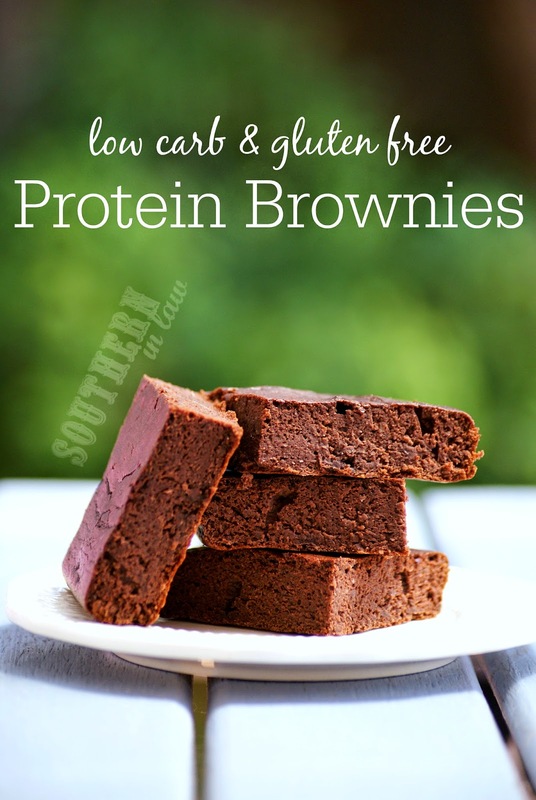 They're also low fat, low carb and even lower in calories than most other brownies so there's a whole lot to love! I tend to make about a batch a week of these babies as they're the perfect quick and easy protein packed snack. We also switch up the mix ins or toppings for the brownies with each batch because they're even better with chocolate chips stirred through the batter or a healthier chocolate frosting on top - but sometimes we keep it simple and eat them as is as well. Mix together all of your ingredients, stirring until just combined and adding in any mix ins if desired. Pour your brownie mix into your prepared tin and bake for 15-25 minutes, or until your brownie is cooked through and a skewer inserted into the middle removes clean. 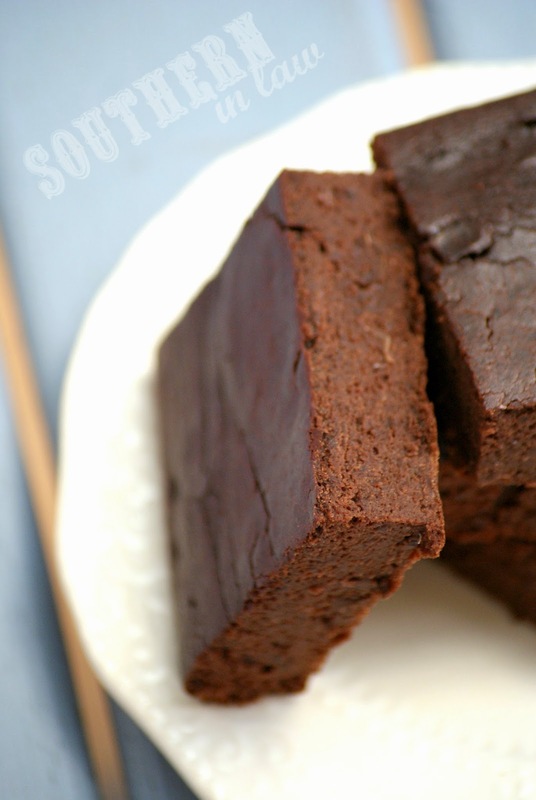 Baking times will depend on the thickness of your brownies so keep an eye on them! *Protein powder weights will vary. We use this organic rice protein powder and 1/2 cup weighs out at around 60 grams or just over two scoops. Use whatever protein powder you prefer - and choose a paleo or grain free protein powder if you want to make this paleo or grain free. **If using a sweetened protein powder you may find 1/4 cup honey/maple syrup is a little too sweet so adjust it to your tastes! But tell me, what's your favourite protein packed snack? And what's recipe you keep making over and over at the moment? Hi Kristy, Have you ever made this recipe into muffins? Would anything have to be changed? Made this today and it was AWESOME...thank you so much! Only addition for my family was to add some cinnamon...we can never get enough cinnamon around here, lol! Too much ingredients and can't say honey, vanilla extract, butter or oil and apple sauce sounds very healthy. Calculated the kcal and comes up to 200 a slice.....tooted your own horn too much. This recipe is amazing! I love the fact that it doesn't have any flour. I tried it with walnuts and drizzled a little honey on top. So so good! Thank you so much for sharing! do i have to cook the oatmeal first or just put it in dry? are the oats a part of the dry ingredients? Hi Brenda, there's no need to cook the oatmeal first as you're baking it - just add them in dry! I am breastfeeding my first born these days, and I made this with some flax seed and brewer's yeast thrown in. It's a perfect breakfast. I'm so glad you loved it! Enjoy! I'm baking these right now. Because of diet restrictions, I used reduced sodium baking powder and Ener-G no sodium baking soda. I also threw in unsalted sunflower seed kernels and some cinnamon. I am baking them in cupcake paper lined muffin tins for an on-the-go breakfast. Can't wait to try them! Hope you love them, Samantha! Hi Sarah, when you say oat flakes do you mean crunchy cereal or oats which you cook on the stove/in the microwave?